The other weekend, I had the option of raking or baking. 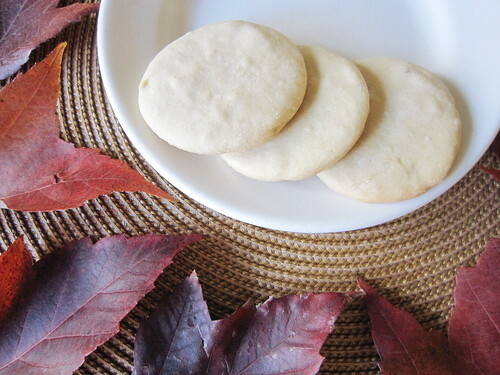 I chose baking maple cookies instead of raking maple leaves. 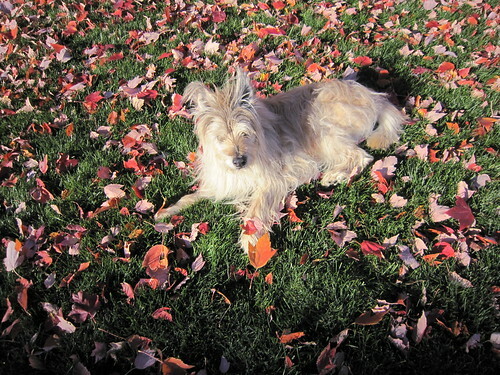 Our dog, Ruffy, was having such a good time rolling around in the leaves, I decided not to ruin his fun and to bake maple cookies instead of raking. 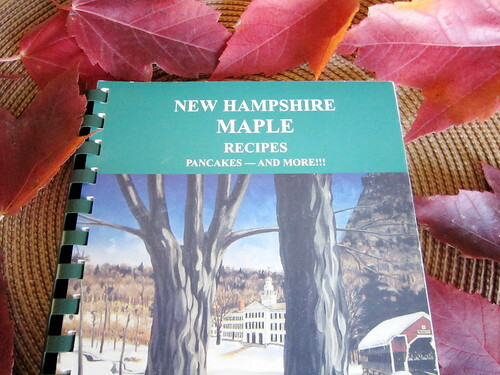 I made maple cookies for my Mom’s birthday – using New England maple syrup and a recipe from a cookbook she gave me last Christmas, the New Hampshire Maple Recipes cookbook from the New Hampshire Maple Producers Association. But things didn’t go as smoothly as planned. 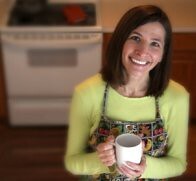 I ended up misreading an ingredient in the recipe, and creating a whole different recipe. 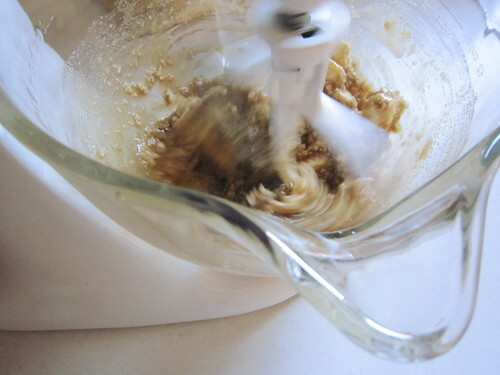 Turns out, maple sugar and maple syrup produce drastically different results when making cookies. 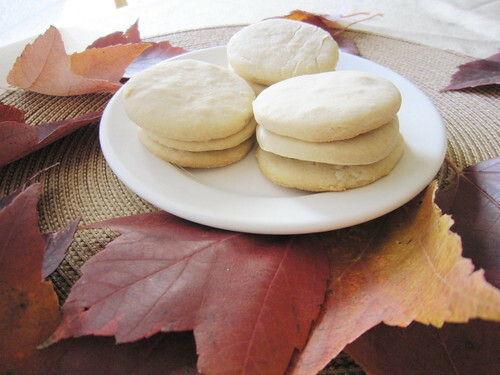 The original recipe called for maple sugar. I accidently skimmed over the “sugar” part, using maple syrup instead. When I got to the step that said “roll out and cut cookies” I discovered my batter was way too thin and soupy to be rolled out. 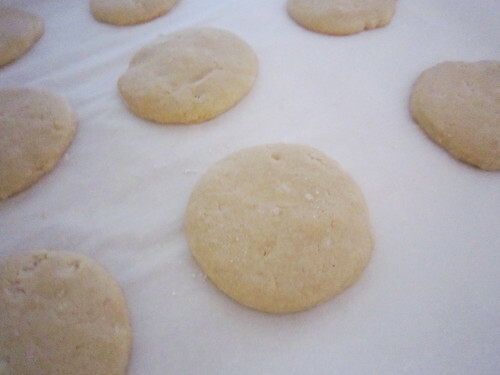 So I just scooped and dropped spoonfuls on a baking sheet – like a drop cookie. The end result was not so great. 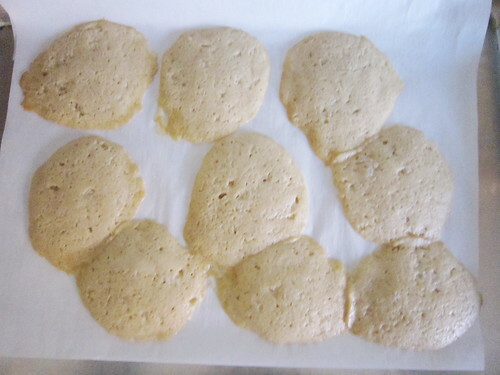 They expanded all over the place in the oven, and looked more like maple pancakes than maple cookies. I corrected the situation by adding more flour in the second batch. 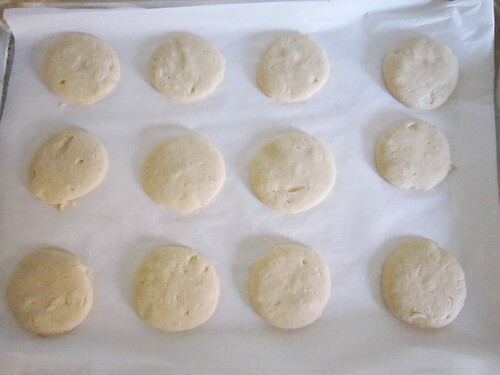 Then they rolled out easily, and baked up nicely – holding their shape. The only down side was they weren’t as sweet as I would have liked them to be. But all in all, they were OK. My mom enjoyed them. If you want a nice wholesome cookie with your morning coffee, that’s not too sweet, these may be a good match for you. 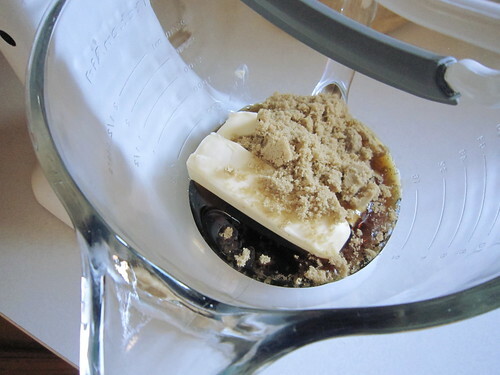 Blend together the butter, maple syrup and brown sugar. Add in the egg and water. 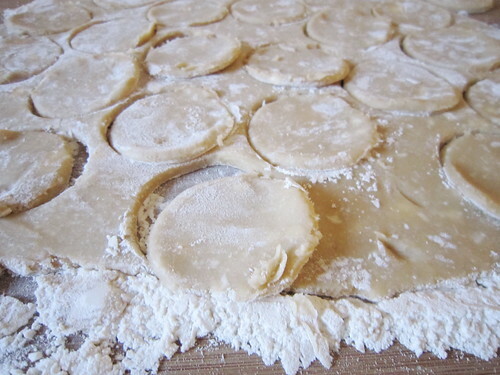 Roll out the dough on a lightly floured surface, and cut into circles. 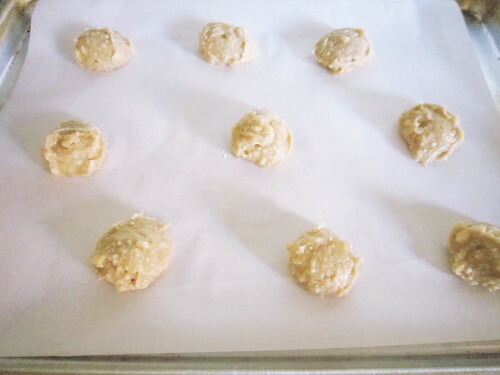 Place the cookies on a parchment-lined baking sheet. Bake 8-10 minutes, or until golden. 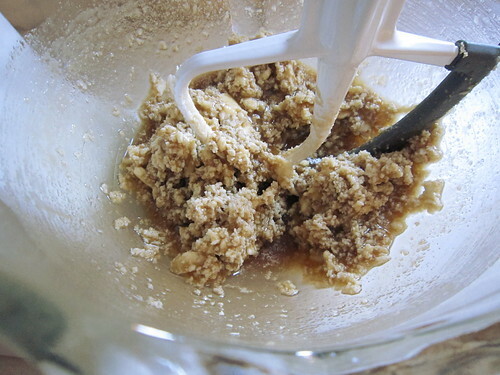 Blend together the buttter, maple syrup and brown sugar. 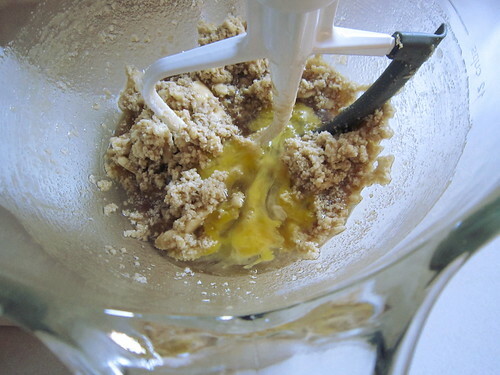 In another bowl, mix together the egg and water, and then add to the butter mixture. 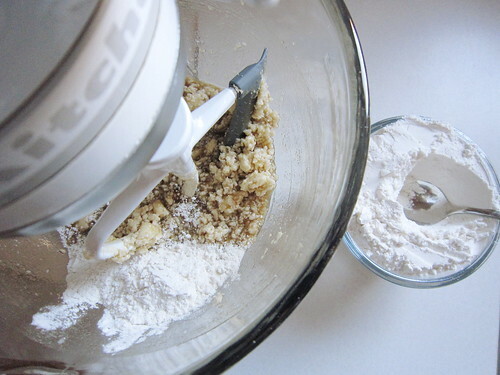 In another bowl, mix together the flour and baking powder. 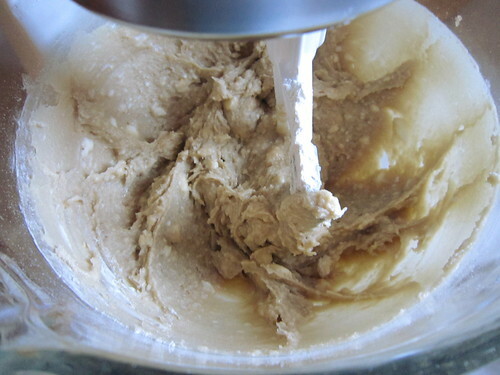 Then slowly mix it into the batter. 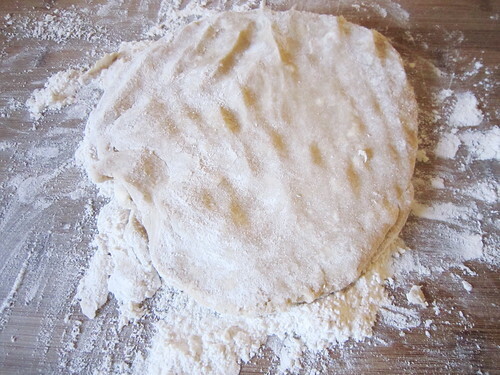 Roll out dough on a lightly floured surface to about 1/4 inch thick. 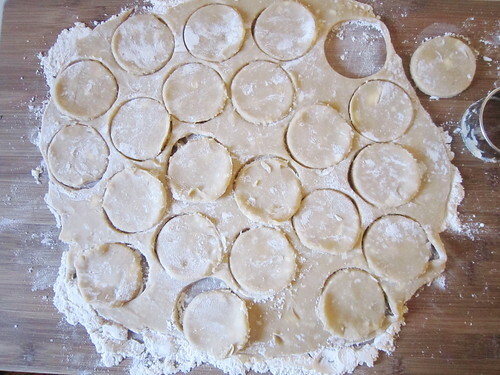 Cut cookies in 2-3 inch circles. 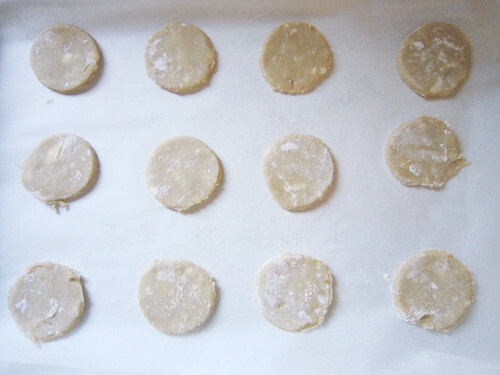 Place cookies on baking sheet lined with parchment paper. Bake for 8-10 minutes, or until golden brown.